Fitness facials and skin beauty clinic that combines the latest technology in skin care and professionals who are ready to help you realize the dream of a healthy skin and manicured. NATASHA understand that the skin is a gift that needs to get special treatment, because no skin is created equal. Our commitment is to always provide the best service in the hands of professionals handal.Dengan concept Nature Meets Technology is a perfect blend of cosmetic active ingredients of botanical / herbal beauty tools with high-tech, beautiful and maintained a healthy skin is no longer just a dream. 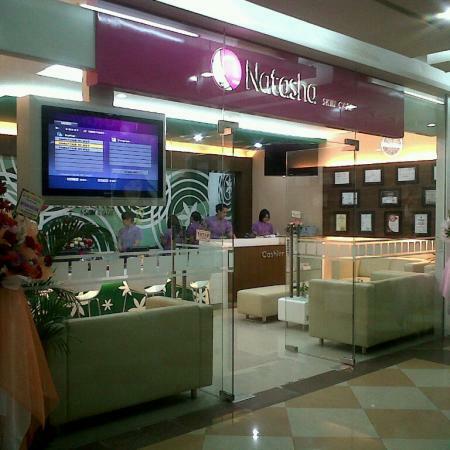 NATASHA Skin Clinic Center also realize each individual requires different handling, especially the skin on their teens, adult men and women. For that Natasha also develop products specific to the category Teen, Men and Women. Whatever type of skin, regardless of your age, Natasha treatments provide optimal results and secure. Being a leading company in Indonesia in the field of facial beauty treatments with major quality and excellent service. 1. Build a reliable company that is able to exceed customer expectations. 2. Improve competencies through improved skills, knowledge, attitude to training routine. 3. Conduct regular innovation both in products and technologies beauty, nature meet technology. 4. Enhance cooperation among divisions. 5. Creating added value with high integrity. Being a leading company in Indonesia in the field of facial beauty treatments with major quality and excellent service.